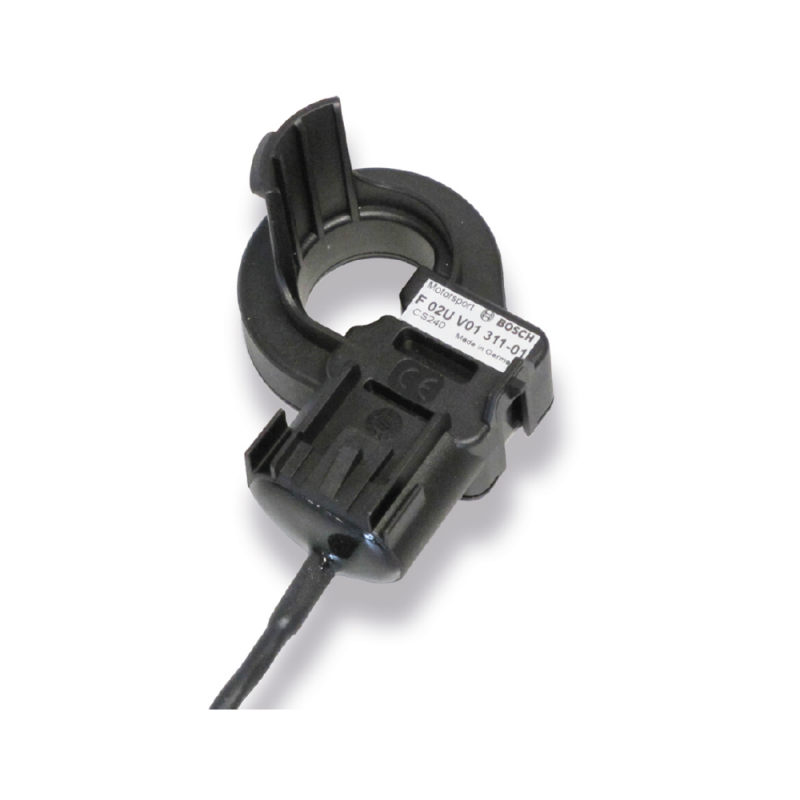 This sensor is developed for DC and pulsed currents measurements. The advantage is the single power supply and no additional resistance. The sensor, which can be simply fixed around a cable, is capable of measuring up to 240 Amps and gives a linear 0.5 to 4.5 Volt output.